Holstein Kiel coach Markus Anfang will take charge of Cologne in the summer, the Rhineland club have confirmed. Anfang, 43, and his assistant Tom Cichon have signed three-year deals through to 30 June 2021. The news comes a week after Cologne revealed current boss Stefan Ruthenbeck would not be staying on beyond the end of the current campaign. "I'm from Cologne," Anfang said. "Nobody has to tell me what it means to work with this exceptional traditional club and these fans. The league does not matter. I am thankful to Holstein Kiel for a wonderful time together and for allowing me this chance." 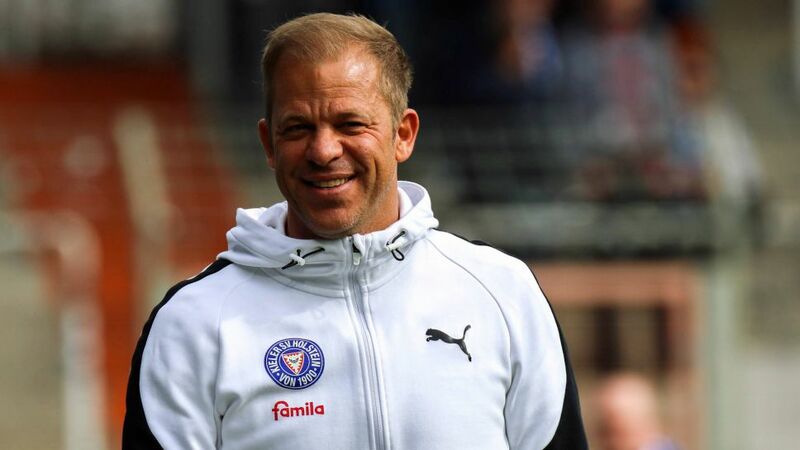 A midfielder with Fortuna Düsseldorf, Kaiserslautern, Duisburg, and Schalke in his playing days, Anfang is fighting for back-to-back promotions after taking Kiel from the Third Division to Bundesliga 2 in his first season in charge. The northern club currently sit only two points outside the automatic promotion places in the play-off spot, with four rounds of Bundesliga 2 fixtures remaining. If Kiel do gain promotion to the Bundesliga - what would be a first for the club - there is every chance they will trade places with Cologne, nine points adrift of the relegation play-off spot at the bottom of the top-flight standings after 30 matches.